At some point in life everyone is compelled to ask the primordial question--Why am I here? How we answer that question determines whether or not we will discover our true calling in life and harness our full professional, personal, and spiritual potential. Many counterfeit voices will offer an answer, but the one true voice whispers from the inside. 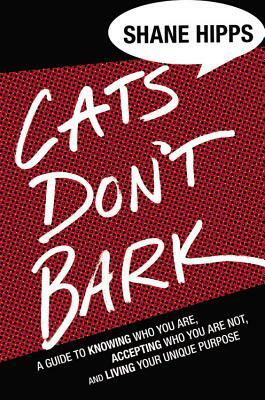 CATS DON'T BARK provides powerful techniques to help the reader listen for the "One Voice" and find the courage to follow it. This is a book about discovering who we are, accepting who we are not, and cultivating the habits we need to discover and embrace who we were meant to be. SHANE HIPPS is the chief leadership officer for Aspen Heights, a national real estate development company. His focus is human development in the corporate world. Through his unique coaching techniques, training, and workshops, he unlocks purpose, potential, and creativity. Hipps is also a sought-after speaker and author of several bestselling books. You can visit his website at www.shanehipps.com.